CAN A SEVEN HUNDRED YEAR OLD TRANSYLVANIAN FIND TRUE LOVE WITH A REVOLUTIONARY RYSEMIAN FISH-WOMAN? 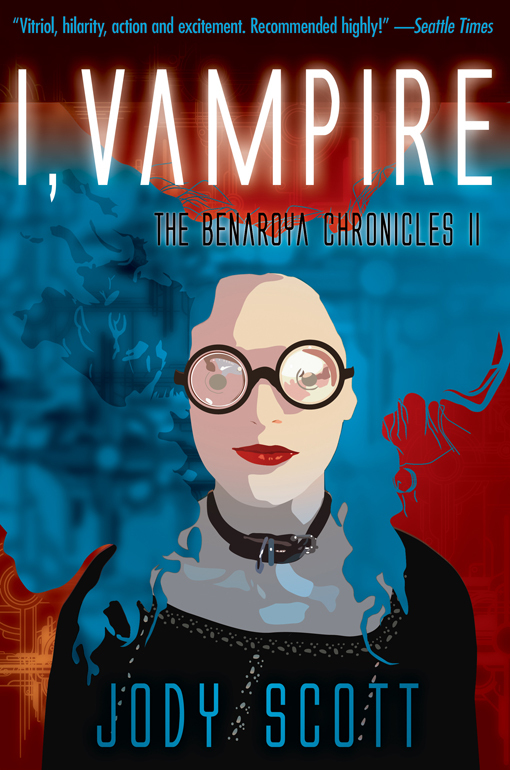 After seven hundred years, glamorous vampire Sterling O’Blivion has begun to think the joy is going out of life. Then she meets Virginia Woolf in the ladies’ room of a dance studio in Chicago. But Woolf is really Benaroya, a dolphin-like alien anthropologist here to learn all there is to know about humanity and to fight the good fight against the evil, slave-trading Sajorians. Sterling falls madly in love with Benaroya. It’s just the sort of romp an aging vampire needs—but first, to defeat the Sajorians, they have to sell millions of Famous Men’s Sperm Kits to every woman on Earth.